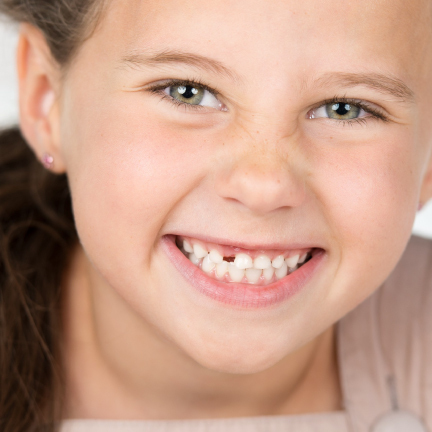 As a child slowly grows into a new set of teeth, some space and alignment issues could arise. One way to address such problem would be through the aid of space maintainers. As reflected by its name, space maintainers are used to maintain and hold space for permanent teeth. A space is created when a child loses a baby tooth prematurely, before the permanent tooth is ready to grow in place. Since the primary tooth is lost too early, adult teeth can erupt into the space and there might not be sufficient space left to be occupied once more adult teeth are ready to erupt into the mouth. Depending on the space that needs to be held open, space maintainers come in different types that can be used in various parts of the mouth, each of which should be constructed differently as well. The material used for dental laminates is porcelain, as it largely resembles the human enamel. Porcelain veneers are very thin sheets measuring to about 0.3 mm, which are then placed to bond with the front of the tooth. At Pro Grace Dentistry, we make use of advanced systems available in cosmetic dentistry in carrying out our porcelain veneers procedure. We ensure that the opaque porcelain crowns used in the process are properly designed and placed with pinpoint accuracy, matching the client’s needs. The porcelain veneers can also be customized so that it matches your teeth as naturally as possible! If you’ve been in accident and have suffered from chipped, broken or crooked teeth, then porcelain veneers can restore the dazzling smile you once had. Porcelain veneers are also recommended for those who want an added layer of protection to their natural teeth. The porcelain veneers act as a durable coat which covers the natural teeth and thus strengthen it from damage. Having porcelain veneers also helps in concealing teeth imperfections for a winning smile. It has also been proven to have long-lasting results! For space maintainers and all other child dental services, visit Pro Grace Dentistry in NorthWest Calgary! You may also book an appointment by calling us at 403.288.8080 We will be all smiles as we try to assist you with your concerns.